WASHINGTON — President Donald Trump isn't campaigning for Alabama Senate candidate Roy Moore because of "discomfort" with the sexual misconduct allegations made by several women but isn't calling on the controversial judge to drop out of the race because the state's voters should decide, the White House says. Ultimately, Trump doesn't know who to believe following decades-old allegations made one month before the Dec. 12 election, according to his aides. One Republican senator urged Alabama voters to reject Moore in the special election even if that could mean ceding the seat to a Democrat and narrowing the GOP's 52-48 Senate edge. A second GOP lawmaker suggested there was "a strong possibility" that a write-in candidate — "a proven conservative" — could win, though no name was mentioned. "We are uncomfortable with the explanations that Roy Moore has given to date," said White House legislative director Marc Short. Speaking of Trump's position, Short said: "Obviously if he did not believe that the women's accusations were credible, he would be down campaigning for Roy Moore." Still, Short added the "38-year-old allegations" were virtually unprovable. "At this point, we think he has been a public figure in Alabama for decades, and the people of Alabama will make the decision, not the president, not the leader of the Senate, not members in Congress." Moore, a former state Supreme Court justice twice removed from office, has denied the accusations that have surfaced only recently, and pledged to remain in the race. The special election will determine who fills the remainder of Attorney General Jeff Sessions' term, until January 2020. Before the allegations emerged, Trump had backed current GOP Sen. Luther Strange in the Sept. 26 primary to determine Sessions' successor and campaigned in the state, a Republican stronghold. After Moore's victory, Trump made clear he would back the anti-establishment candidate enthusiastically promoted by former White House chief strategist Stephen K. Bannon. But since the allegations aired, the White House has said Moore should drop out if they were true. Moore faces Democrat Doug Jones, a former prosecutor, in the Dec 12 race. Budget director Mick Mulvaney said while the White House had "serious concerns," it was hard to weigh in against Moore. Moore's name cannot be removed from the ballot before the special election even if he withdraws from the race, though a write-in campaign remains possible. Trump "doesn't know who to believe. I think a lot of folks don't," Mulvaney said. Short, pressed repeatedly about whether Trump still supported Moore, said: "I don't think you have seen him issue an endorsement. You have not seen him issue robocalls." Short added, "I think you can infer by the fact that he has not gone down to support Roy Moore his discomfort in doing so." 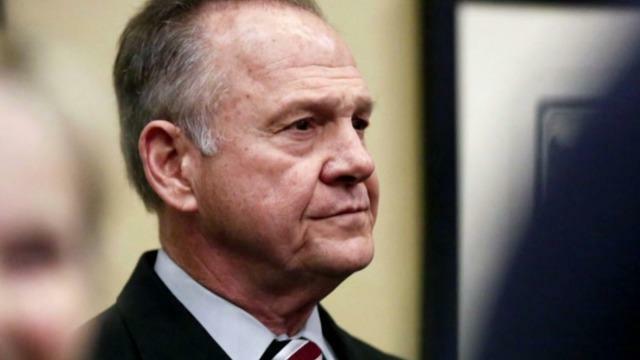 Moore has forcefully denied the charges as "unsubstantiated" and "fake" even as more women have come forward to make complaints of sexual improprieties. Two women by name have said Moore molested them in the 1970s when one was 14 and the other 16 and he was a local district attorney in his 30s, and three others said he pursued romantic relationships with them around the same time. Senate Majority Leader Mitch McConnell, R-Ky., and House Speaker Paul Ryan, R-Wis., are among the many national Republicans who have urged Moore to step aside. Sessions told Congress last week he has "no reason to doubt" the women. "I hope that the voters of Alabama choose not to elect him," said Sen. Susan Collins, R-Maine. "I don't know Doug Jones at all, but I've never supported Roy Moore. And I hope that he does not end up being in the United States Senate." Sen. Tim Scott, R-S.C., said "it is in the best interest of the country, as well as the state of Alabama, from my perspective, for Roy Moore to find something else to do." Scott said he thinks there was "a strong possibility with a new candidate, a new Republican candidate, a proven conservative, that we can win that race." Moore's candidacy has left GOP officials in a bind, especially after GOP Gov. Kay Ivey said she will not postpone the election and will vote for Moore. The Alabama Republican Party has also thrown its support behind Moore. McConnell has said Moore would almost certainly face a formal ethics complaint in the Senate if he were elected. Such an ethics complaint could lead to a Senate vote on expelling him. Short appeared on ABC's "This Week," Mulvaney spoke on NBC's "Meet the Press," Collins was on ABC and CNN's "State of the Union" and Scott spoke on "Fox News Sunday."